Finalist – Concept design for a large cupboard, doubling up as a guest bedroom. The bi-fold doors open out to form a larger private area when used by a guest. 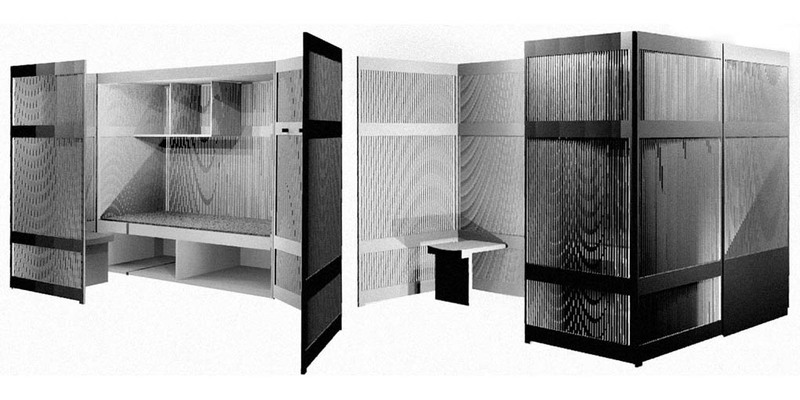 The layout of the cupboards peripheral screen pattern is asymmetrically varied to control levels of privacy and views according to need.